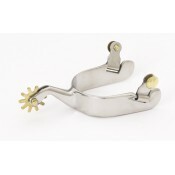 Made with premium polished stainless steel with brass buttons. 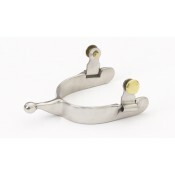 Band: 1" Shank: 1 1/4" Rowel: Knob En..
Made with premium polished stainless steel with brass buttons. 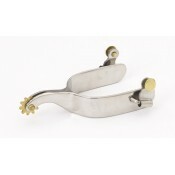 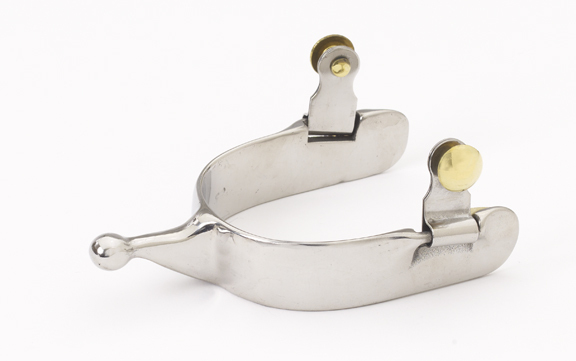 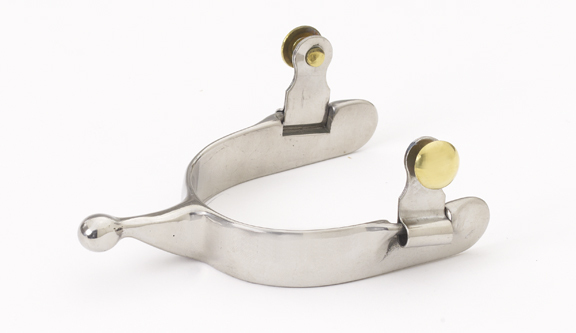 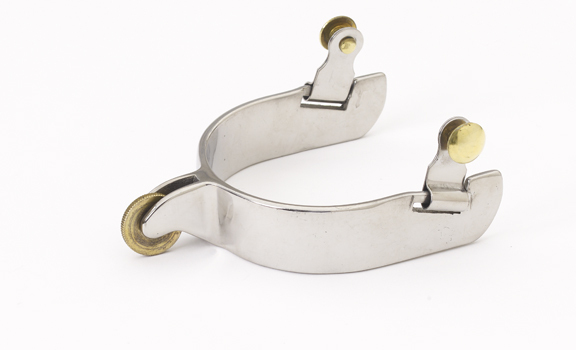 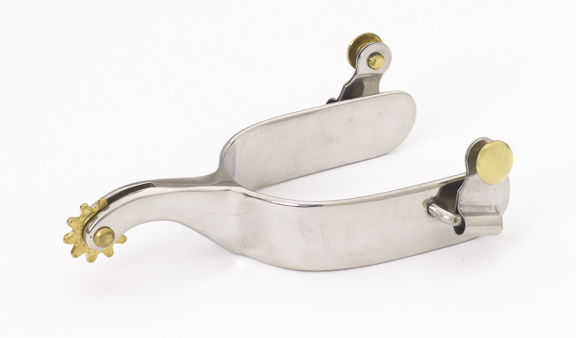 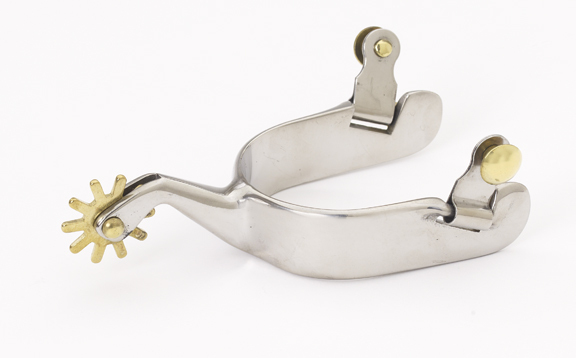 Band: 3/4" Shank: 1 1/4" Rowel: Knob ..
Made with premium polished stainless steel with brass buttons. 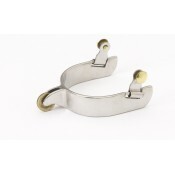 Band: 1" Shank: 1/2" Rowel: 10pt..
Made with premium polished stainless steel with brass buttons. 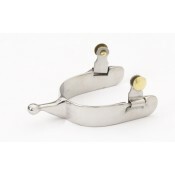 Band: 3/4" Shank: 2" Rowel: Rosebud..
Made with premium polished stainless steel with brass buttons. 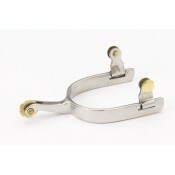 Band: 1" Shank: 3/4" Rowel: Round..
Made with premium polished stainless steel with brass buttons. 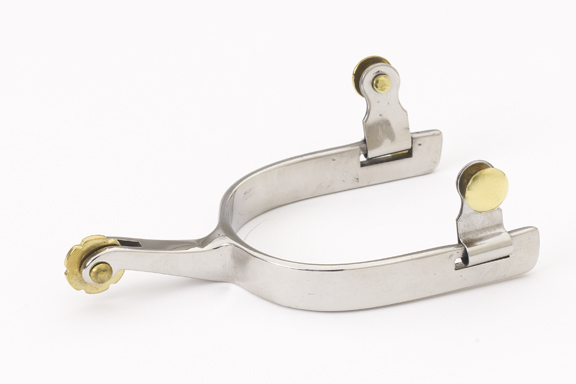 Band: 1" Shank: 2" Rowel: 10pt..